[SURVEY RESULTS] Training Professionals: What Are Your Go-To Resources? 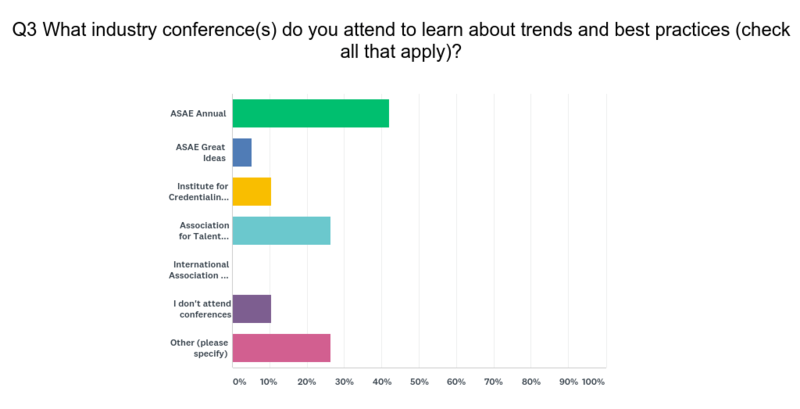 A few weeks ago we surveyed continuing education and training professionals to learn more about which resources they turn to for ideas, inspiration and information on trending topics such as micro-learning, blended learning and getting ready for Generation Z. This survey was conducted as a response to what we’ve been hearing from our friends and customers in the industry—that there isn’t a centralized resource specifically for those working within associations. So where do CE professionals gather online and in person? As expected, in a variety of places. Some are more vertical-centric, while others are geared more toward the corporate training industry, but provide best practices that can be applied across all organization types. There were certainly resources mentioned that we are very familiar with, and others that were completely new to us. A majority of the respondents serve in leadership roles at associations. We then gave the respondents an opportunity to list any and all of the online industry resources (newsletters, blogs, webinars, etc.) they find to be the most valuable for keeping up with trends and best practices. Once again, the answers given were all over the board. A number of respondents also mentioned they look for ideas in LinkedIn discussion boards, through discussions with other associations, peers and vendors. Several times, respondents took the opportunity to tell us they didn’t feel there was a “perfect fit” resource within the industry. It’s not surprising, then, that respondents overwhelmingly indicated they would be interested in attending more peer-to-peer learning opportunities for association-based continuing education and training professionals, if they were available. 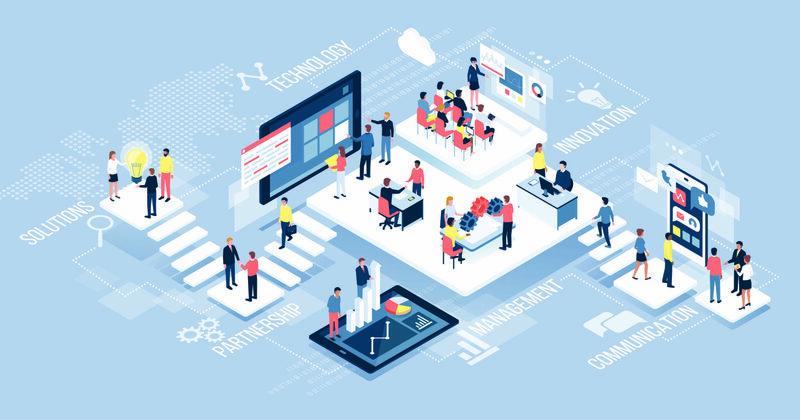 It’s clear that with so many potential resources available, many of which don’t quite get to the core of challenges and opportunities specifically for associations, education and training professionals find it worthwhile to have more opportunities to learn from each other, in both formal and informal settings. Perhaps this will be the start of a larger grassroots movement to make that happen.